Drafted self-written emails for you to send to your donors. Identifies the best donors at the right time for discovery, cultivation, solicitation, and stewardship. 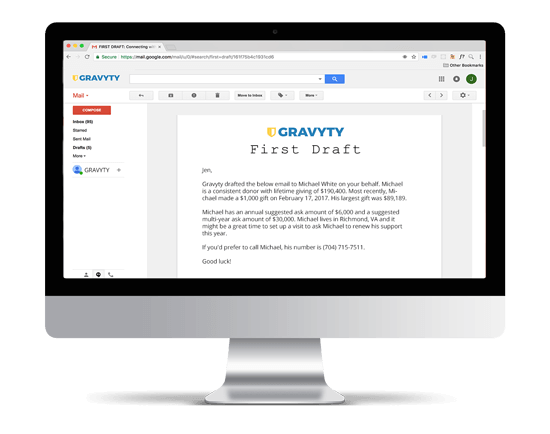 Provides a draft for you to edit and send to the donor. Learns your tone and style, adjusting to match you. Sends daily directly to your email, no matter which service you use. Imagine an email dropped into your inbox, written to the right donor at the right time, for you to edit and send in a few clicks. 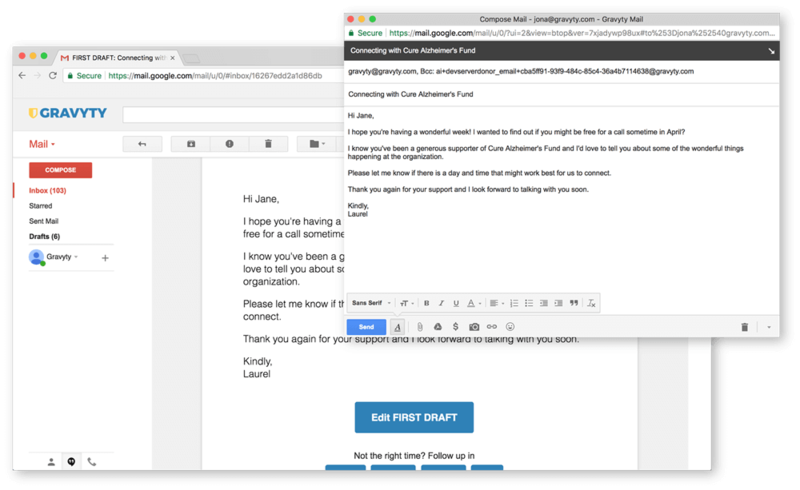 Meet First Draft, the first proactively written email for frontline fundraisers! Robust algorithms identify the donor you most need to speak with today, and Gravyty sends you an email you can send them.